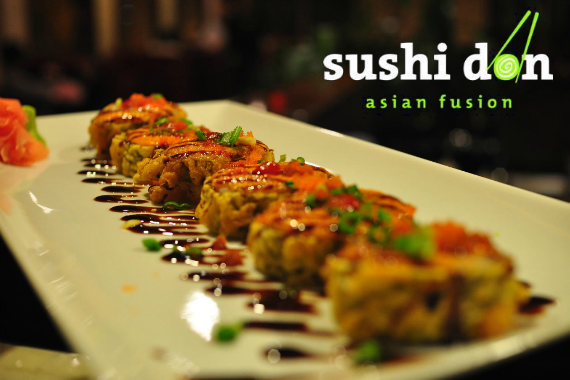 Sushi Don has been serving fresh Asian cuisine to Lafayette since 2013. Eat fresh, eat healthy, eat happy at Sushi Don! "Your feedback helps us stay on fire. http://bit.ly/2IagEHD"
"We can only think of one thing that's better than one of our sushi rolls -- two of them! " "This is how we roll. " Pretty great sushi, but always so crazy busy. Great food. Lovely staff that are warm and friendly. Small restaurant with a laid back atmosphere. And they have a nice size kids menu. With kid friendly items. Yes, I'd like to receive news from Sushi Don. Sign up for the Sushi Don Newsletter!